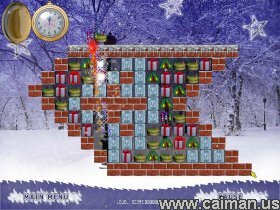 Caiman free games: Christmas Gems by Esmelon. In this game you have a task to do for every level. eg try to get 2500 points within the 3 minutes, and so on. To get points, you have to click on 3 or more objects of the same type. Sometimes there are also rockets and other fun stuff. Play "Christmas Gems" any time to return to the atmosphere of Christmas and to give yourself the sensation of a pure and beautiful holiday. Travel far away from your day-to-day problems. 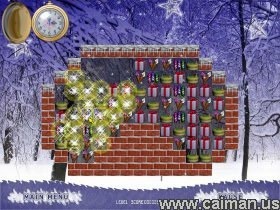 Celebrate the good cheer and have fun playing this addicting game. - And many, many other! note: The caiman download is a clean non-install version. Watch out when you deceide to download this game from other sites as the install version contains adware.